Whether you are travelling around Europe for one week or one year, there are certain things that you need to pack to ensure your trip goes smoothly. If you are backpacking, the key is to pack light to ensure that you do not have to carry things you really don’t need. Write a list of things you think you need prior to packing, you can then whittle it down to the essentials. Remember you can pick up extra clothes and toiletries along the way. Some things, however, are essential to have before arriving at your destination. Having them will ensure that you are able to hit the ground running. Therefore, allowing you to make the most of your time in Europe. The first thing you should sort out once you have booked your trip is European travel insurance. Accidents and mishaps happen and without an adequate level of insurance, you will have to foot the bill yourself. Even if you have a European Health Insurance Card (EHIC), this will not cover all the expenses you may incur and is not a substitute for travel insurance. If you must visit a doctor, dentist, need medical treatment in a hospital or even need to be flown home, in some cases, the medical fees can be in excess of £50,000. Therefore, travel insurance is vital. Yet unfortunately, many people still overlook it when making their travel plans. A camera is a must to snap all of the amazing things you see in Europe. Especially if you plan to share them with your friends and family back home. Your level of interest in photography, budget and where you will be taking photos will dictate the perfect camera for you. If space and/or budget are an issue then why not just use your smartphone as most newer model smartphones have great built-in cameras. If you plan to film your adventure an action camera, such as a GoPro, should be at the top of your list. Wherea, if a ‘normal’ camera is more your thing, it’s important to do thorough research before buying. Before you set off, especially if you do not know when you will have access to wi-fi again, download all the travel apps you think you will need to your smartphone or tablet. Google Maps is a great all-rounder, but it’s important to remember you will need data to use it while travelling. If you are from another European country, that shouldn’t be a problem as inclusive data packages can be used all over the continent. However, if you’re not and therefore do not have a data allowance then you should consider Maps.me which is a great app that provides offline maps using OpenStreetMap data and is compatible with a number of devices. A world travel adapter is vital when visiting Europe. Particularly if you want to keep all of your gadgets charged up and ready to use. Most not only have the plug connector but also a couple of USB ports too. 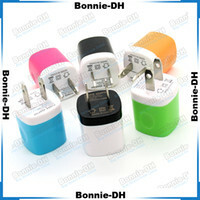 This means you can charge your smartphone via USB while using the plug socket for something else. Not only are they reasonably priced but they are also small. Therefore, it will not take up much room in your bag. Also, most can be used in over 150 countries, meaning even if you never visit Europe again, you can use it elsewhere in the world. Preparing for your trip and ensuring you have these essentials before setting off will ensure that your adventure is less stressful when you arrive and certainly is one to remember.